Avoriaz is a superb resort for skiers and snowboarders of all abilities. A very distinctive resort with it's modern architecture and dramatic cliff top scenery. Its high altitude and north-facing slopes complement each other, resulting in consistently excellent snow records. Enjoy the benefits of links to different resorts around the Portes du Soleil ski area, which holds over 650km of beautiful pisted runs to Morzine, Les Gets, Châtel and Champéry in Switzerland. You can also take your pick from over 60 mountain restaurants interlinked by over 200 lifts. Nevertheless, Avoriaz boasts plenty of its own wonderful slopes, ranging from ‘The Swiss Wall’, a thrilling mogul-filled run for experts to the many peaceful, smooth runs for beginners. The resort is car-free, creating a safe and peaceful environment. Horse-drawn carriages wind around the town’s wooden high-rise buildings, whilst the snow-covered paths and streets allow for ski-in/out accommodation and facilities. The centre of the village is vibrant, offering many activities for all. Avoriaz generally boasts very good, sometimes superb snow conditions. The runs which are intertwined within the town rarely melt fully, largely due to the resort’s high altitude. Avoriaz is suitable for every type of skier. As previously mentioned, experts may enjoy ‘The Swiss Wall’, but there is plenty of other tough work scattered around. There are also plenty of slopes for intermediates, including the long run down to Champéry. Meanwhile, beginners can practise on the nursery slopes, before venturing out to the well-linked and longer easy runs. We would also recommend the Chatel area for beginners, which is at a high altitude with great snow. Cross-country skiers can roam around on about 40km worth of trails, mainly between Avoriaz and Super-Morzine. Montriond and Lindarets are also accessible. The Chalet d’Avoriaz is the obvious choice for après-ski, however there are alternatives. Mountain restaurants are prevalent, whilst the village area also has its fair share. For example, the Restaurant Les Fontaines Blanches is popular. Avoriaz has activities such as hiking, snowmobiling, snowshoeing, bowling, outdoor skating and dog sledding. The Aquariaz, a stylish pool complex accompanied with lush vegetation, is perfect for children. There is also a spa at the Amara development. 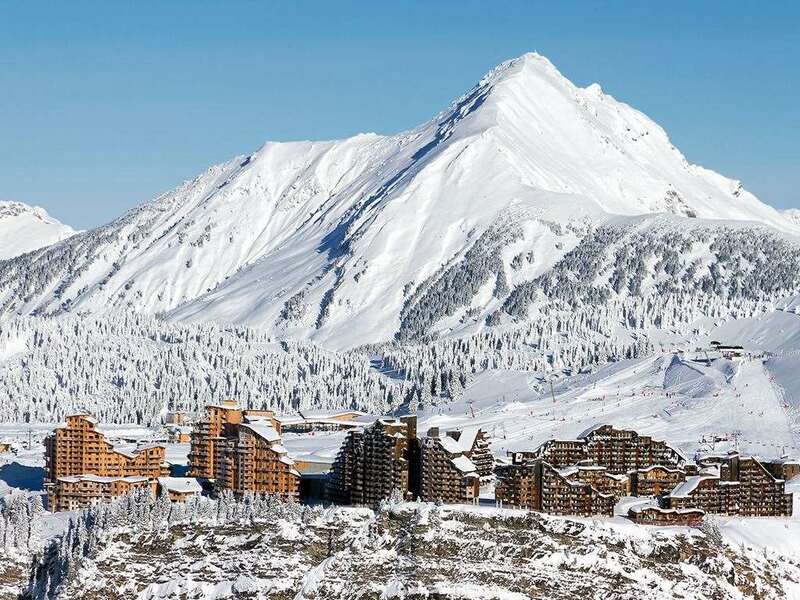 Avoriaz is a perfect ski destination for a family ski holiday. It doesn’t matter if you’re a beginner or advance skiers as there are slopes fit for all abilities. Not only does Avoriaz have a fantastic ski area, it also has fun and exciting activities to do at night, such as the local swimming pool, an ice rink, bowling and many other enjoyable activities. These suit the young and the old and families can spend quality time together whilst doing something they enjoy. This beautiful spot in the world is home to a fantastic range of ski accommodation. You can browse our Avoriaz apartments now to make your ski holiday more comfortable than ever. Avoriaz is a great resort for skiers and boarders of all levels. If its long smooth runs, challenging bumpy blacks, the boardparks or the off-piste on the Swiss side of the area, Avoriaz offers it all. Situated in the middle of the Portes du Soleil ski area, Avoriaz has the best access to the other resorts that share the domain. The resort itself sits on a plateau high above the neighboring town of Morzine. The phrase ski from your door applies to every hotel and apartment. The buildings are connected by a series of elevators and walkways, to make access to all areas as easy as possible. Bars and restaurants are plentiful and offer a wide range of menus and prices. Nightclubs tend to be empty most evenings, maybe because of the high drink and entrance prices. Shopping is limited but the nearby town of Morzine offers a wide range of supermarkets, sport shops and boutiques. This is the last of the big French ski areas I have skied. The Avoriaz/Swiss resorts are well linked tho&#39; not for a less confident skier. It is best to decide each day if you are going to ski Morzine/Les Gets or the Avoriaz/Swiss side to avoid having to getting on and off the navette which in peak season will be extremely busy. Best feature is the length of the runs blue, red and some of the blacks. Some of the blue runs are quite tough and would probably be red in other resorts. Conversely some would be green.